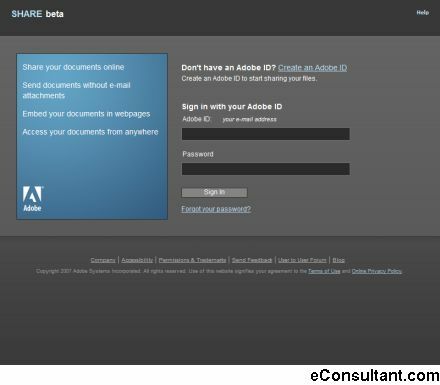 Description : “Share” beta is a web-based service that allows you to upload and share files. You can distribute the URL for the file to a selected number of users, post the link for the URL on a website, or embed the code for previewing the file in a web page. You have the option to allow recipients to invite others to view your shared files or limit access to only the specified recipients.